Whether you’re starting up a full service lawn care business or trying to outfit an in-house staff to care for the grounds at your office or property, choosing a great professional string trimmer calls for some specific considerations. Here’s what you need to keep in mind to help you find a quality commercial string trimmer for your professional needs. Having a powerful trimmer is going to be incredibly important if you’re operating a lawn care business, since you’ll never know what kinds of overgrowth situations you might encounter with clients. 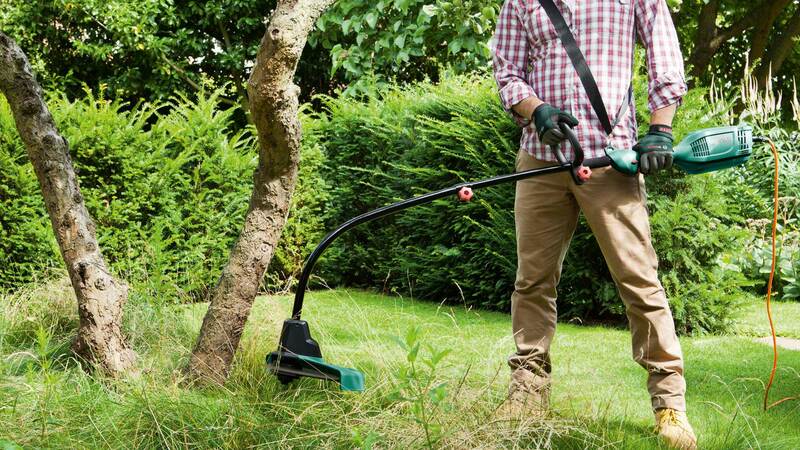 Gas-powered trimmers are often going to give you the most power, which means you’ll be well equipped to deal with even the most troublesome weeds or plants. Whether it’s you or your employees, it’s key to find a trimmer that won’t cause the operator any discomfort during use. Even a slight pain bending down to use a small trimmer, or having to hold a larger model in an awkward way, can cause serious health issues that will prevent that person from continuing to do their job. Also, if left uncorrected, it could even result in a disability issue that would have serious ramifications for the success of your business. There are some models of string trimmers out there designed for operators with a higher skill level, so take a thorough examination of how well your employees can handle a trimmer before you make any purchases. If your people have been using trimmers for years, you can purchase a more complex model designed for professionals and trust that they can take advantage of features like a reduced trim guard to increase their efficiency. Any type of business is going to want keep productivity as high as possible at all times, meaning that complications like having to wait for a battery to recharge on an electric trimmer can bring work to a complete standstill. Gas-powered trimmers are great for keeping runtime high, since your employees can quickly refill an empty tank and get back to work without wasting much time. If you do choose a battery-powered model, consider having multiple batteries on hand to help keep work moving forward. If you know that you’re going to be working with large yards or compounds with a lot of ground to cover, then gas-powered trimmers may be the best choice. However, if lawn care is only part of your business and you know you’re going to be using other tools frequently, a battery-powered trimmer might be a smarter option. Many of these models feature interchangeable batteries between different tools, so you can double up on use and save a bit of time and money in the process.